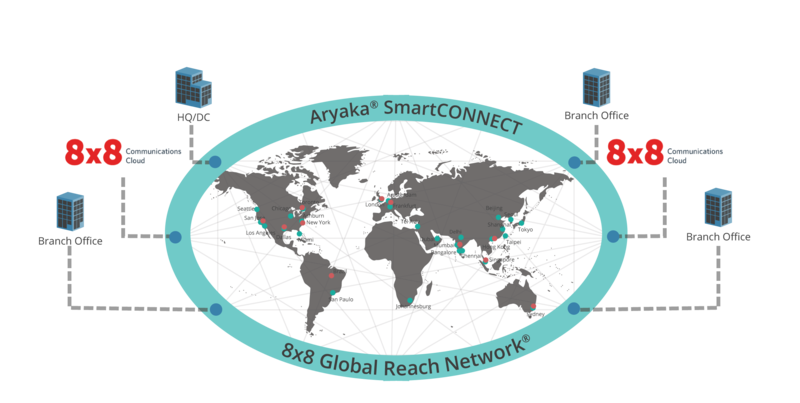 Fast and reliable connectivity to the 8x8 Communications Cloud through a private network of 28 PoPs, located 30ms from any global business user. Guaranteed uptime for 8x8 communications services using service prioritization, traffic shaping, and bandwidth reservation. Patented technologies that use load balancing and path selection to ensure business continuity of 8x8 services, even in the presence of poor internet links. Add new 8x8 sites in days or hours and scale bandwidth for existing 8x8 sites immediately, ensuring faster time to market.